Ahead of their much-anticipated debut album, Hamburg’s hottest secret is about to be unleashed on the world. Deo & Z-Man drop their first single for hafendisko, a supreme taster of the future treats in store. 'Tales of Love' is a beautifully crafted futuristic disco gem – and available here in three wildly different and equally stunning versions. The boys work their magic on the original with sweet vocoders, firing disco toms, and perfectly pitched ear for the happy melancholia of the dancefloor. Perhaps referencing their italo roots, 'Tales of Love' is as perfect a pop song as you will hear all year. The guys have been building quite a following in the underground, not least for their innovative and open minded live performances and highly creative DJ sets. And it’s the dancefloor where Tigerskin’s remix belongs - teasing out the clubbier elements into something of a stomper that throws a wicked rhythm guitar into the mix. The 'RSS Disco & Z-MÆN Remix' is another thing entirely - lush, thoughtful and minimalistic in design, the track finds plenty of room to let the vocals work their charm, while slowly but surely a spacey disco synth takes hold. 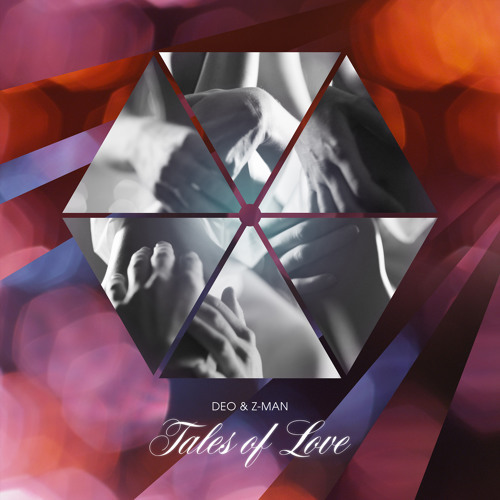 Clearly heading for great things, Deo and Z-Man have provided us with a perfect primer for their upcoming album, and a must have release in its own right. Protuberanzen der Energie! Sehr schoen!